The Creole Chesapeake: Fishing for Peppers in Baltimore and D.C. Seafood has long been the stuff of Maryland’s soul. As it reaches back into the coastline, almost splitting the state in two, the great Chesapeake Bay has given Maryland an edible identity of blue crabs and bivalves – so much so that a feisty crustacean makes an appearance on my state driver’s license, as integral a part of my personal records as my address and eye color. Now, however, the region famed for its shells and pincers has begun to look to a little hot pepper as the key to its culinary past and future. 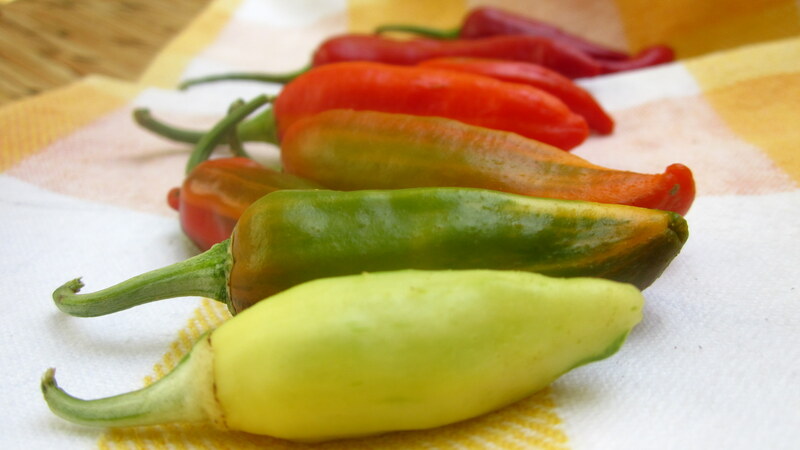 In the 1800s, backyard Baltimore gardens were brought to life with splashes of color: streaks of creamy white, yellow-green, burnt orange, eggplant purple, and chili red dangling from green and white splotched leaves – the fish pepper plant. Chopped fresh or dried and ground, the pepper lent its smoldering heat and sweet undertones to Chesapeake seafood dishes full of Creole personality, rivaling even that of legendary New Orleans. Like African staples such as okra and sweet potatoes, the fish pepper followed the course of slave ships to land in the mid-Atlantic. From the 19th to early 20th centuries, the plant was at the heart of the truck farming industry that sustained much of the African American community throughout the Chesapeake – a lifeline especially for the large free black population in the Baltimore area before the Civil War. It tells an agricultural history of the area different from that of cash crops and instead focused on smaller-scale farms and gardens, with truck farmers driving around the Bay supplying ingredients to the teeming network of crab and oyster houses. Port Tobacco, Charles County, Maryland, c1936-7. Library of Congress. Farmers sharing a truck on market day, 1942. Montgomery County, Maryland. Library of Congress. The symbiotic relationship between the fish pepper and local seafood joints is what gave the plant its name. 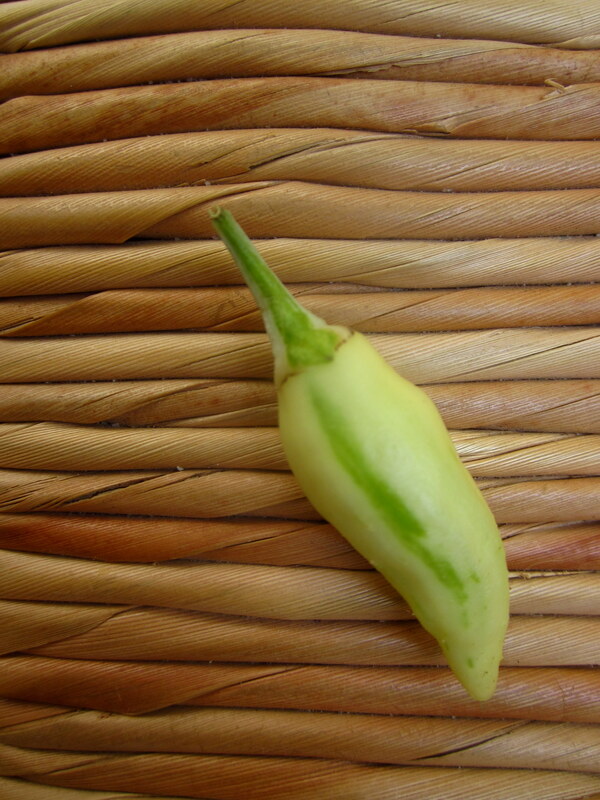 In its early stages, before it transitions through a spectrum of bright colors, the fish pepper pod is white. This quality made it a sought-after ingredient for cream-based seafood sauces, where it adds kick without muddying the color – the ultimate secret ingredient. Bushels of peppers were sold stacked next to seafood stalls in markets, the pairing as second nature as tomatoes and basil. Long before Old Bay Seasoning became Baltimore’s trademark spice, the fish pepper, along with other Afro-Caribbean ingredients, combined with European and Native American traditions to form a vibrant Chesapeake cuisine. “You had these three strands interweaving and creating something that was Creolized in the sense that they combined to create something that was wholly new,” said Spike Gjerde, chef and owner of the Baltimore restaurant Woodberry Kitchen, in a conversation with NPR’s Kojo Nnamdi. While New England was seen as more of a symbolic extension of Europe, taking its style cues and food traditions from the Old World, according to Gjerde, the Chesapeake was, from its early days, simply perceived as tobacco country. Without this conscious project of nation-building, the workers of Maryland-area fields had the opportunity to grow and cook a range of foods in their backyard gardens to actually feed themselves. Cookbooks like Mrs. Benjamin Otis Howard’s 1873 Fifty Years in a Maryland Kitchen and Harry Franklyn Hall’s 1901 300 Ways to Cook and Serve Shellfish speak to the uniquely Chesapeake style that emerged, featuring recipes for terrapin soup, crab gumbo with okra, Maryland fried chicken, and broiled oysters – dishes often relying on the fish pepper for their sassy flavor. Lexington Market, Baltimore, 1921. Maryland Historical Society. 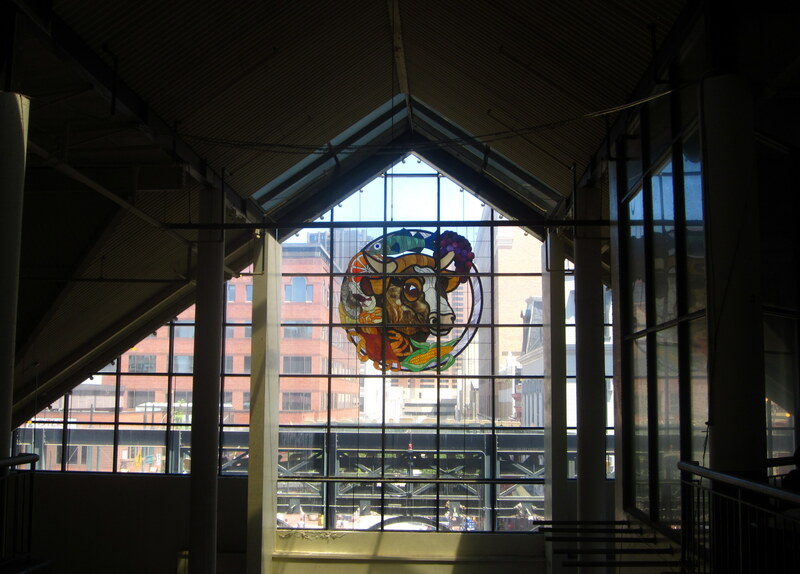 The port city of Baltimore was the core of this flourishing Chesapeake food culture, with lively public markets and emerging ethnic neighborhoods (Baltimore was second only to New York for the numbers of immigrants it welcomed through its port in the 1800s). 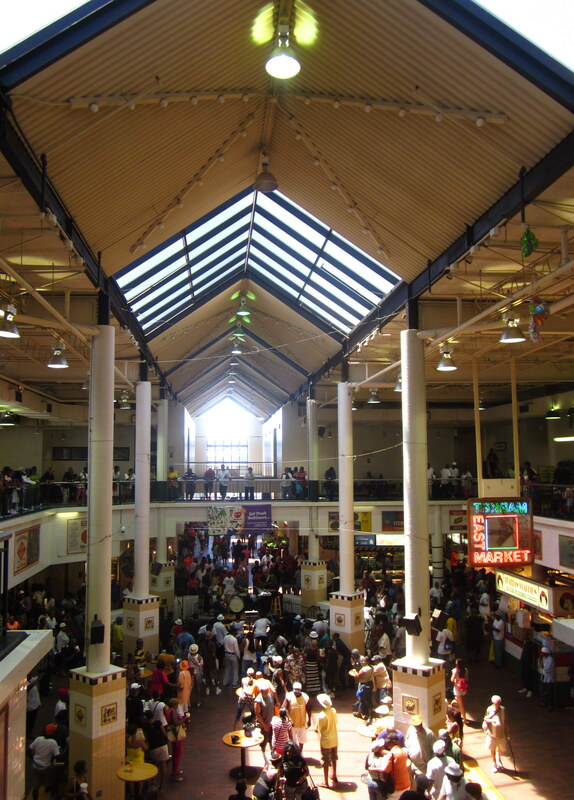 Local culinary historian Michael Twitty even recounts how the writer Oliver Wendell Holmes Sr. declared the city’s celebrated Lexington Market “The Gastronomic Capitol of the World” when he visited in 1859. But the scene went from bustling to bust as the waters of the Chesapeake suffered from pollution and disease in the mid-1900s, shutting down the seafood houses lining the Bay. With no demand for the spice, the fish pepper fell into obscurity, gradually disappearing from menus and gardens. With it went Maryland’s Creole sense of self – less gumbo and piccalilli, more crab cakes and football. Lexington Market, c1850-1900. Library of Congress. Lexington Market, c1903. Library of Congress. Now the fish pepper is finally making a comeback. Very much a part of the urban gardening resurgence in the Baltimore area, the pepper has made its way from the handful of gardeners who saved a few seeds to the back pages of heritage seed catalogues – and then finally to the menus of upscale restaurants where it has become the locally-sourced darling of the Chesapeake dining scene. Today, at Woodberry Kitchen, you can launch a meal with grilled Chesapeake oysters with spring onion-horseradish verjus and fish pepper butter, and then continue on to corn dumplings with fish pepper, charred leeks, and fresh cheese at Volt further afield in Frederick, Maryland. 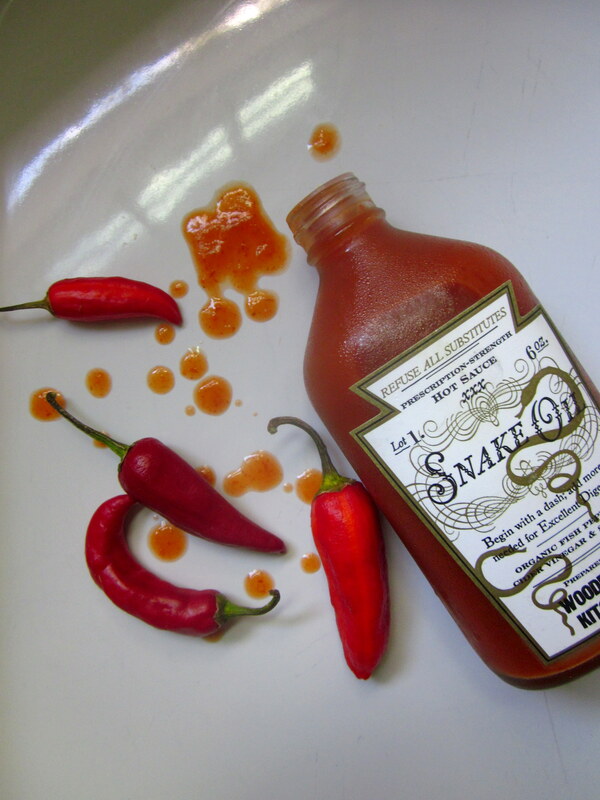 But Snake Oil goes at $15 a pop. The 6oz bottles are only available at the shabby chic Salt & Sundry (of DC’s trendy Union Market), or at Woodberry Kitchen, tucked in another tony nook of Baltimore – catering to just a certain niche market. Before his untimely death last year, Michael Kipp, a beloved Baltimore bartender and spice-maker, made a point of not only collecting fish pepper seeds and growing the plant for area restaurants, but also sharing the seeds with inner-city schools, encouraging young people to forge a connection with their heritage in school gardens. Historian Michael Twitty is a staunch advocate for piecing together these “gastronomic genealogies” in African-American communities, seeing it as an opportunity to reclaim their rightful place in history. Fish peppers have also begun to spice things up further south in Washington, D.C. Last year, the urban gardening outreach group City Blossoms launched its own Flying Fish Pepper Barbecue Sauce, made with the peppers grown in its public garden, and this spring, Slow Food DC planted a crop at Wangari Gardens. While crab gumbo spiked with fish pepper has yet to take the city by storm, the pepper has enjoyed more formal institutional recognition in its carefully curated gardens: it’s been among the rows of vegetables in the Smithsonian Victory Garden and the White House Kitchen Garden, as well as on the grounds of Monticello down in Virginia. On the international stage, Slow Food has inducted the fish pepper into its Arc of Taste, a listing of endangered heritage plants with hopes of market recovery. As it trickles down from Baltimore to D.C., the fish pepper suggests that we look at Maryland area seafood in a different light: as the centerpiece of a Creole cuisine which pulled seasonings and ingredients from all different directions, a backyard blend of colors that flourished in the region’s community of crab houses. The revitalization of the pepper is not just a case study in heritage seed awareness but an integral part of Chesapeake Bay conservation, a beam of support for the seafood that has defined this region for centuries but has often been mismanaged. And in its gradual embrace of the fish pepper, D.C., a city-state suspended between regional identities, is hinting it wants to be a part of this rebirth. Fortunately, the way to save the fish pepper is to eat it. 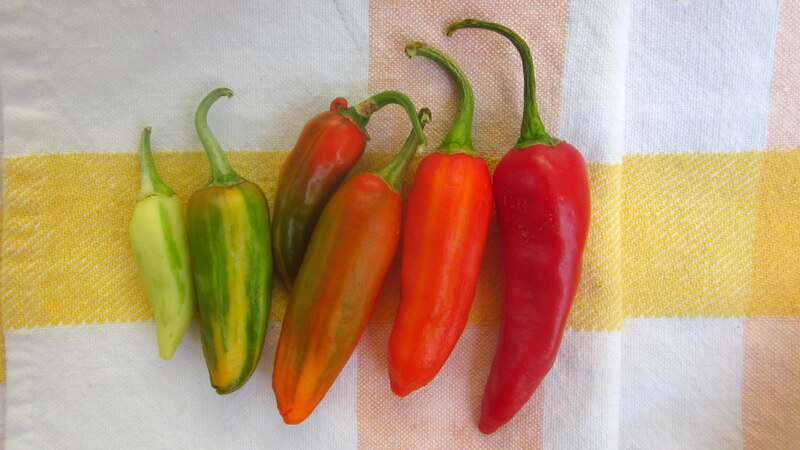 And the time is now: fish peppers are in season from late July to August. I tracked some down at Five Seeds Farm’s stand at the Columbia Heights Farmer’s Market – show up early; they sell out quickly! 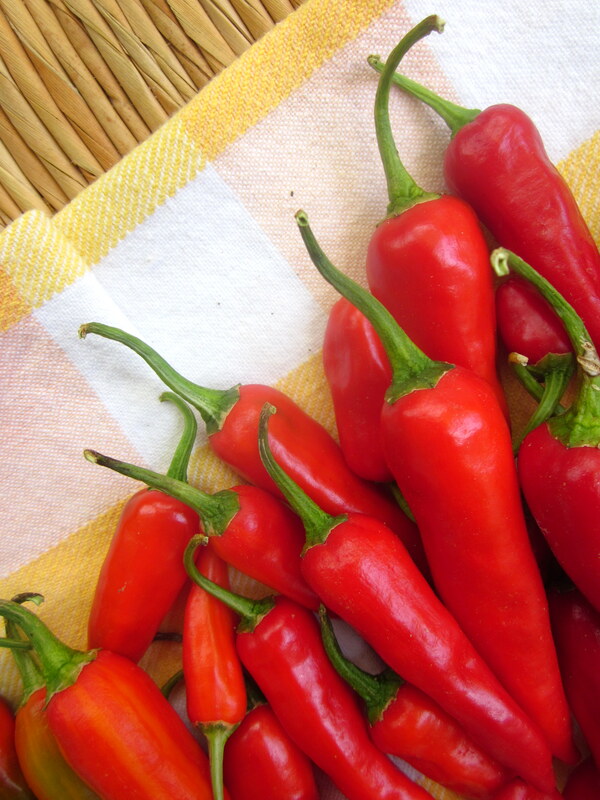 Fish peppers can liven up many a fish, from crab cakes to stir fries, stews to fresh salsas. And like other hot peppers, the fish variety lends itself well to preserving – be it pickled, or dried and ground for later use. 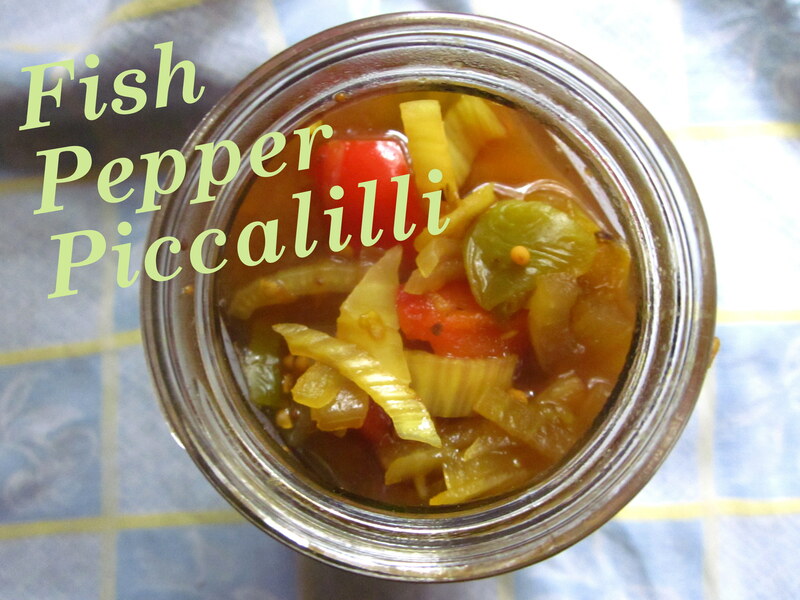 Historically, it’s been a favorite addition to piccalilli, a vegetable relish cobbled together from whatever is in the garden at summer’s end (some also know it as chowchow – the definitions vary from region to region and cook to cook). I updated Mrs. Benjamin Otis Howard’s 1873 recipe for “Piccalilly” – which called for a gallon of vinegar and a pound of salt – with some modern riffs, like John Martin Taylor’s low country piccalilli recipe and the Lee Brother’s southern chowchow recipe. 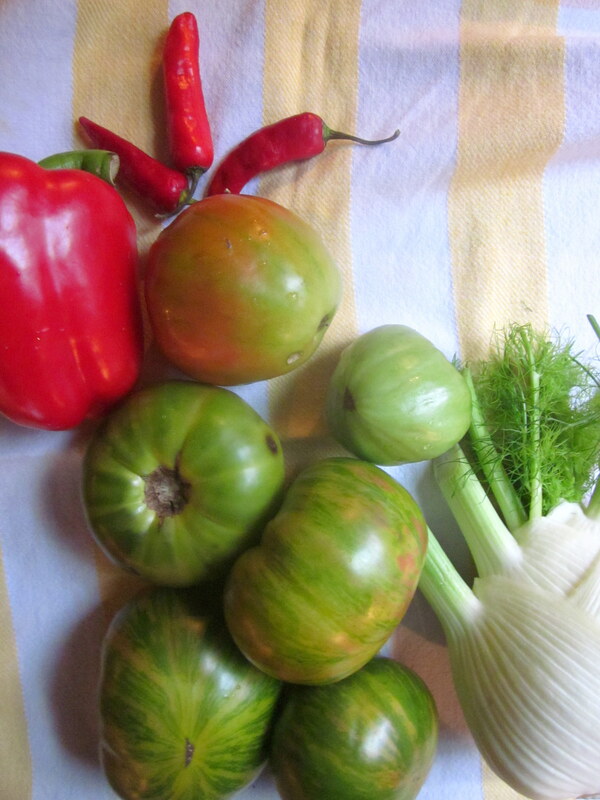 I also added some fresh fennel for variety. 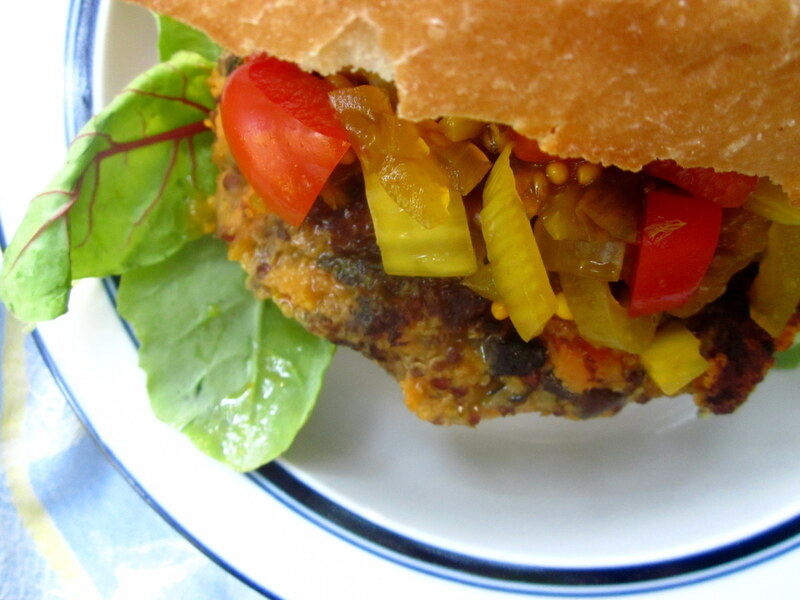 Vinegary, spicy, and sweet all at the same time, this piccalilli is a great topping for grilled meat, fish, or veggie burgers. Quarter the tomatoes, fennel, onion, and bell pepper, toss with a generous amount of salt, and let sit overnight (or at least several hours). Rinse and drain the vegetables, then chop them into small chunks. Cut the fish peppers into thin rings. Meanwhile, bring the vinegar, water, and brown sugar to a simmer, and let cook for about 5 minutes. Add all of your spices, with more salt to taste, and continue to simmer for another 10 minutes or so. Add the vegetables, bring to a boil, then lower to a simmer for about 15 minutes. 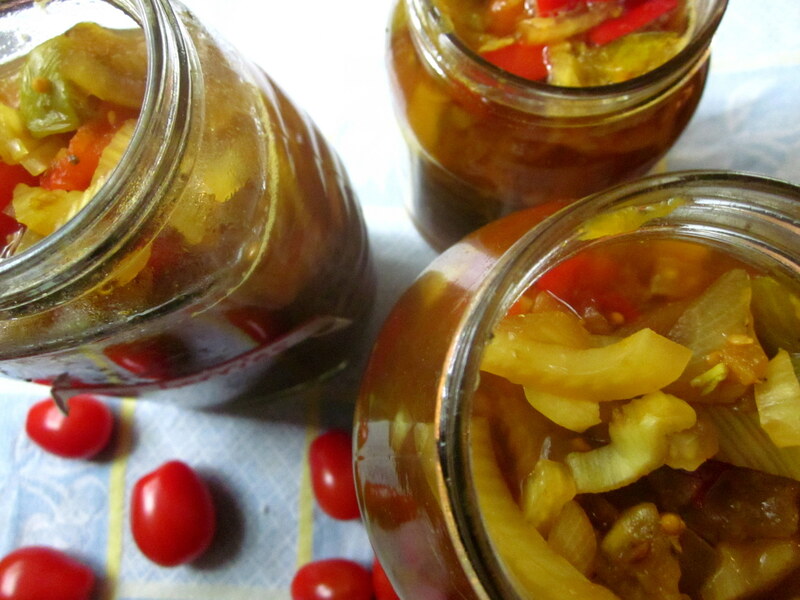 Process the piccalilli in jars according to your preferred method. Loved this post! Thank you so much for writing it! I want to go on more Baltimore adventures together! We will have to cook with fish peppers next time you and Uncle B come down to Maryland! Wonderful article, great photographs, historical content and lots of information on fish peppers! Loved it! 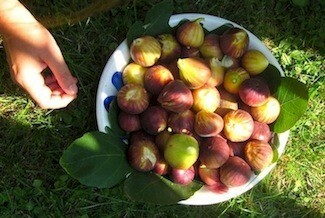 This post was wonderful, Cos, well written and interesting. Your photos are gorgeous, and I love that you incorporated the old b&w historical photos (I need you to give me lessons on managing photo size and placement in WordPress!). So appreciate your feedback, Laura. Guess what? just started flamenco again back in DC on good old Wisconsin Ave. Wish you were in class with me too. This is a great piece on fish peppers and Maryland food. I just found it while searching for photos of Mrs. Benjamin Chew Howard but I will certainly be referencing this later and following your nice blog! Thank you so much for your note – glad to hear about the interest in fish peppers! I just checked out Old Line Plate and am very impressed. Now a follower! Looking forward to learning more Maryland history through your posts.